We want to point to the particular dangers of hiking, trekking, jeep tours, etc. in secluded areas, high altitude mountains, or deserts, etc. before your commencement of travel. (But please know that we only want to highlight every possible event/problem/danger, like in a package insert of some medicine; in no case do those events occur on a regular basis!) Like in the Alps, a dangerous situation can suddenly develop, such as: a change in the weather pattern, rock fall, floods, injuries… Additionally, at high altitudes there can occur certain diffiulties in connection with adapting to the elevation. Your body has to adapt – the altitude, the temperature and the unusual physical effort put a strain on your circuit. Some trips might have very remote destinations, so there can be some delay if you need help from outside the area after an accident – or assistance from outside cannot be possible at all. These Special terms & conditions on hand are effective in addition to the General travel terms & conditions (ARB 1992), in case of contradiction the BRB apply primarily, the ARB 1992 secondary. We want to promote a fair tourism with a positive effect on the country. We have local guides accompanying you on your journeys, they serve as middlemen and -women between the cultures and facilitate good communication with the people of the country. Registration takes place in written form via e-mail. The travel contract is concluded if all the conditions of the contract are mutually agreed upon (prices, services and date in written acknowledgment). After you receive your travel confirmation an advance payment of 10 % of the travel price is due. Final payment is due twenty days before commencement of travel at the earliest – (on the principle of delivery vs. payment, i.e. travel documents are handed out after payment). When we act as agents, please refer to the terms of payment of the respective operator (e.g. the airline). Payment by credit card is possible with a surcharge of 1.5 % of the amount due. Until 60 days before commencement of travel: 10%; 59th-30th day: 20%; 29th-20th day: 50%; 19th-10th day: 65%; 9th-4th day: 85%; from the 3rd day or when interrupting a trip or you fail to appear at departure: 100%; based on the amount invoiced. There are certain cases where an even higher or different amount of cancellation fees is charged, e.g. ffor certain travel countries (like, for example, Bhutan) and special tours. But all this will be expressly stated on the specific tour programme and on yor booking confirmation. For cancellations of flight bookings we will charge cancellation fees as per airlines policy and add a handling fee of 50 EUR. Participation in our trips happens at your own risk, being aware of all the particular dangers. Our clients are responsible for following all the rules for passport, visa, foreign exchange, customs, airport and health regulations regardless of our duty to supply information. We advise that you consult your doctor in case of preexisting conditions and unstable state of health before your trip. Every participant is responsible for the assessment of his or her fitness level and physical shape, we make sure to inform you about fitness requirements for every trip. I want to specifically point out that in case of travel interruption, you are not entitled to a refund of payments already made. Trekking-, expedition- or hiking trips are “special risk travels” as defined by the General travel terms & conditions. The character of a trekking-, expedition- or hiking trip can – under certain circumstances – demand changes from the original plan (weather, conditions of roads and paths, official arbitraryness, technical failures/defects, etc.) This is particularly concerning transport (changes of flight plans, temporary lack of transportation, vehicle defects, animal illness, etc.). So, if there are any delays, limitations or cancellation of parts of the program for one of those reasons, the contracting parties anticipate the possibilities of those incidents and it is not seen as a defect. No warranty claims can be requested for that reason. Nevertheless, we guarantee meticulous planning and careful arranging of our tours. The tour operator is liable for any personal or property damage resulting from a fault on our part – occuring despite the aforementioned principles. There is only one exception, we are not liable for property damage due to ordinary negligence – this also includes external service. The upper limit for (non-personal) damages is the triple travel price you paid. If there are limitations to the damage claims or if claims are not possible to file at one of our servide providers (through international agreements), there are the same regulations applying to our services. We are not liable for damages that happen because our tour guide’s instructions were not followed! It is an obligation to follow the instructions of our tour guides (concerning performance during the tour and safety of the participants), it is an important part of your travel contract. If someone is culpably transgressing his or her contractual obligation, he or she has to make good any damages occuring for the tour operator. If an accompanying traveler is unable to attend, we will provide a substitute companion – this is not a reason to cancel the tour (at our cost). Means of transport are not luxury vehicles, the conditions on the road are sometimes rough, so our equipment is functional, not luxurious. There is no liability for damages of luggage. There is no influence on unforeseen circumstances like acts of nature, political unrest, etc. – resulting changes of the itinerary are possible, but no warranty claims can be requested for that reason. If those incidents result in higher/additinal cost, it is hereby agreed that the price of travel will be raised accordingly. Also at the expence of the travel participant: additional costs due to acts of nature, offical order or other reasons beyond or control (e.g. additional costs for airfare, accommodation, hotel or transfer). There can be isolated cases where an overnight stay in a shared room is necessary (instead of the double/single room agreed upon), no warranty claims can be requested for that reason. We want to point out that we are not selling “off-the-shelf” tours, and changes to the itinerary can occur due to various reasons. It shall be understood that all our services can be subject to change due to changes or diversions of the routes for just cause (e.g. worsening of weather conditions, a change in the conditions of roads or paths, unforeseen weakness or illness of tour participant, important repair of vehicles, official arbitraryness, etc.) – no warranty claims can be requested for that reason. It is not a part of the travel contract that you reach a certain destination on your tour. Our estimations of the character of a tour are always going to be an average. The actual time walked is a sum of the hiking speed and local conditions, there is always room for variation – in one or the other direction. No legal claim can be derived from different hiking times. Travel insurance is NOT included in our prices, but we strongly advise to buy travel insurance. 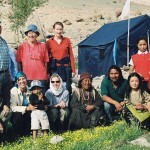 Especially for hiking-, expedition- and trekking-tours. In case of bankruptcy all claims have to be filed within 8 weeks directly at the appropriate liquidator: AGA International S.A., Pottendorfer Str. 25-27, 1120 Wien. Place of jurisdiction is Liezen. On legal gronds, we have to contrast our own Special Terms & Conditions (BRB) with the General Travel Terms & Conditions (ARB) for your information. For us it is always important to have a good relationship with our guests. Therefor we kindly ask you to contact us immediately if there is any trouble. Only if you do so it is possible for us to try to solve the problem. We appreciate it a lot to look together for a solution that soothes both sides. Until now it was always possible to find ways that are acceptable for both sides. We know our responsibilites and we are ready to accept our mistakes – because it is also a way of getting better and learn more. We are humans and we like to keep our business relations human as well. It would be great if you see it the same way.